Butler Ballet dancers face much different stresses when it comes to post-graduation job searches. Photo courtesy of Gaby DenBlanken. Anyone who has spent time at Butler University has seen groups of legging-clad, pilates ring-wielding dancers traveling across campus. Butler Ballet is one of the most elite dance programs in the United States and was recently named third in the nation by College Magazine. Their days and weeks consist of a hectic schedule that balances academic classes, dance classes, rehearsals and shows. While this juggling act may seem stressful, the pressure is even greater for senior dancers. On top of coursework, those who wish to continue their dance career after graduation must fit nation-wide auditions into their schedule. Leah Wolfe is a senior majoring in dance and economics. This year she has been to 11 auditions, the furthest in Omaha, Nebraska and Columbia, South Carolina. Dance students at Butler said they share a strong fear of not knowing whether they’ll obtain a job after graduation or make enough money. 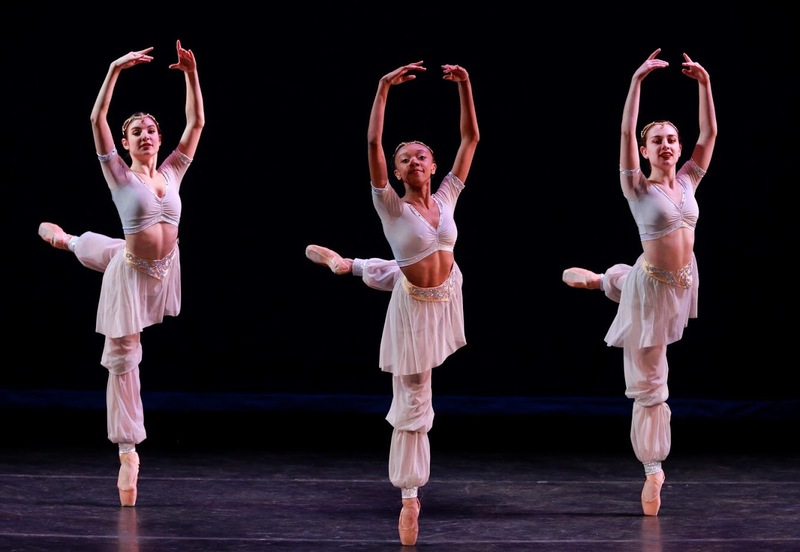 Many ballet companies, which often lack funding, offer unpaid or tuition-based positions referred to as traineeships. They are a way for companies to hire new dancers without having to pay additional costs. This is the reality of the professional dance world; passion for the art must override physical, mental and emotional stress. Wolfe said she is aware of, yet unswayed by the monetary situation she may be facing after graduation. Senior dance majors inevitably have to miss classes and rehearsals when traveling for auditions. Wolfe said dance professors are generally understanding about students having to miss classes. In fact, there is a class available for senior dancers on how to handle this tumultuous year. Although it’s optional, it helps seniors step by step how to handle audition season. Cole Rodgers is a senior dance and arts administration major in Butler Ballet. He is not intent on dancing professionally, but instead planning to start a career in arts administration. “When I came to school it was with the idea that I would move on afterward if I had to, and I have a chronic injury that makes me think it’s probably time to hang up the tights.” Rodgers said. While he said he hopes to remain in the professional dance world through teaching, Rodgers said his senior year and post-grad experience will be significantly different from his peers. “You’ve paid so much money and you’ve worked so hard for four years on your technique and if you don’t get a job, it just kind of feels like a waste.” Rodgers said. Although his dance performance career has ended, Rodgers said he was relieved in his decision to pursue a different path, especially after seeing the stress it has put his friends and classmates through. Gaby DenBlanken, like Rodgers, is a senior dance and arts administration major. She said traveling for dance auditions can easily make dancers feel out of step with campus life, making senior year an exercise in multi-tasking. Dancers have to try and maintain grades, combat stress, search for jobs after graduation and wrap up an enormous chapter of their lives. “I wish I could say my passion for dance would completely take care of my stress about the future, but part of the responsibility of being a senior is looking into how you’re going to repay your loans, looking into your housing and all of these things,” DenBlanken said. Once they land a job, most dancers understand that a professional dance performance career may only last until their late 30s. Wolfe has another major in economics to fall back on after dance is finished; DenBlanken has been accepted to law school. Butler Ballet seniors have had an idea of the realities of the professional dance world since their first year on campus; the program’s purpose is to provide a model for what life would be after graduation. Regardless, even after four years of preparation, the mania surrounding seniors can take a toll on one’s bank, body and mind. Seniors have one last Butler Ballet production to get through before jumping into the real world: this year’s classical ballet of Sleeping Beauty. The show will be playing April 26-28 in Clowes Memorial Hall.